Many parents today are opting to buy and register for organic clothing for their newborns and infants. Why? Organic clothing is a safer choice to put against babies’ sensitive skin because it’s made of organic cotton that is non-toxic and chemical-free. When your baby wears an organic piece of clothing, his skin isn’t absorbing harmful chemicals (like fire retardant found in many children’s pajamas which emits formaldehyde) or PVC, petrochemicals or esters that are found in synthetic fibers and have been linked to health problems, including cancer. So before you shop or register for baby clothes, check out these top organic baby clothing brands that offer super adorable and comfy layette sets, pajamas and outfits. Made from soybean protein fiber called Azlon and other eco-friendly fibers such as organic cotton, babysoy makes luxuriously soft baby clothes that are super cute and fresh. Not only are Burt’s Bees Baby earth-friendly, organic clothes adorable and soft, but they’re also quite affordable and are readily available at major retailers such as Target and Buy Buy Baby. Cat & Dogma offers 100 percent organic cotton apparel for babies in joyful prints and bright, inviting colors. If you love harem pants, definitely check out this brand’s fun and affordable selection. Colored Organics makes Fair Trade clothing from 100 percent organic cotton. If you want to stock up on basic, solid color layette classics, this brand has a range of colors and silhouettes available at affordable prices. Made in India and Peru, Finn + Emma is a Fair Trade, 100 percent organically grown baby brand that offers clothing in modern, fresh prints and colors. Plus, they sell an array of cute organic toys and buttery soft blankets. If you want to stock up on everyday baby essentials like basic organic bodysuits, pants and pajamas in solid colors, giggle Better Basics is the place to shop. Manufactured in Los Angeles, Go Gently Nation is an organic clothing brand that offers a line of baby clothes with a slightly edgy, cool factor. Their women’s line is super chic and comfy, too. Founded in 1983 by Swedish-born Gun Denhart and her husband Tom in their Portland, Ore., garage, Hanna Andersson offers a huge array of bright, cheerful organic clothing that kids of all ages love to wear. If you want matching family pajamas, Hanna Andersson is the place to shop. Want cute, super affordable organic baby clothing? Hudson Baby’s Touched by Nature line is the brand to shop. Find it at Target and Amazon.com. 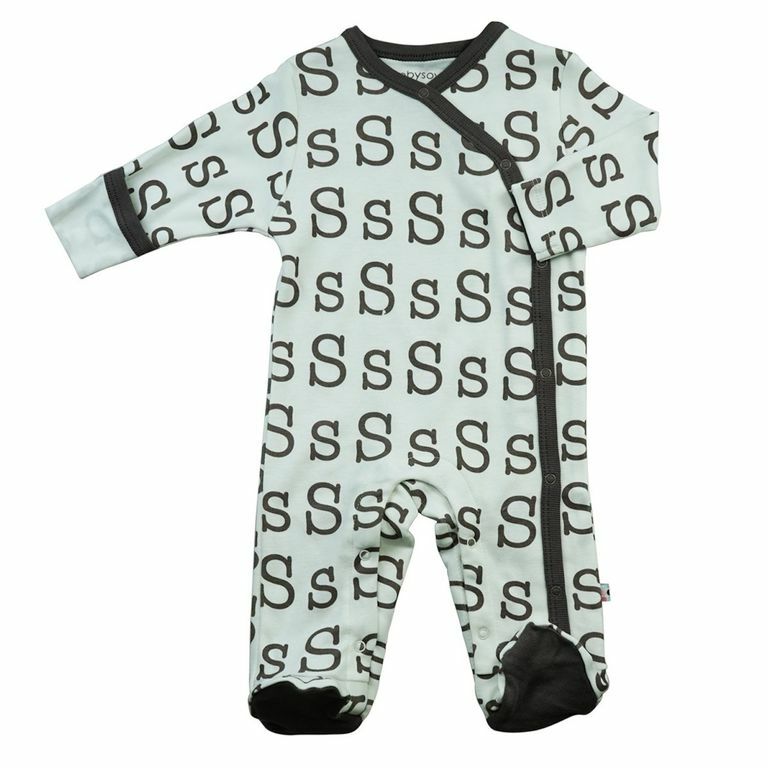 What makes Jennifer Ann’s organic baby clothing stand out are her bodysuits, pajamas, dresses, bibs, blankets and other apparel that can be personalized with your baby’s name in various fonts and colors. It’s genius! Based in Seattle, Wash., Kate Quinn Organics makes its super soft, stylish baby clothes from certified organic cotton. The brand’s colors and prints are super fashionable, fresh and irresistible. If you want crazy soft and comfy pajamas for your baby that feature adorable prints and appliqués, then stock up on KicKee Pants. It’s a brand that many moms simply adore. L’ovedbaby offers a large selection of minimal, fresh baby clothing essentials in a wide array of colors and modern, fresh prints. With roots in the rolling hills just north of San Francisco, MilkBarn offers organic clothing in nostalgic, vintage-inspired prints. Whimsical, unique and crazy cute. Born in Chicago, Monica + Andy offers sweet and comfy organic clothing that moms and babies both love. 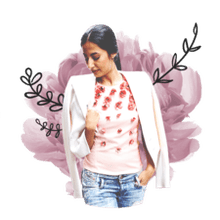 Based in Vancouver, Canada, Parade Organics is made from the finest organic cotton in India and offers adorable baby clothes in stylish prints and colors. Penguin Organics offers an array of rompers and hats in numerous happy prints and colors. Based in New York, SoftBaby is made of 100 percent organic cotton and features vibrant, exotic prints and colors. Sprout San Francisco is a natural and organic children’s boutique that sells an array of organic brands including its own line of organic clothing made of super soft organic Egyptian Cotton. Made from 100 percent Egyptian organic cotton at a fair trade farm in Egypt, Under the Nile sells affordable baby essentials in fun prints and pretty pastels.